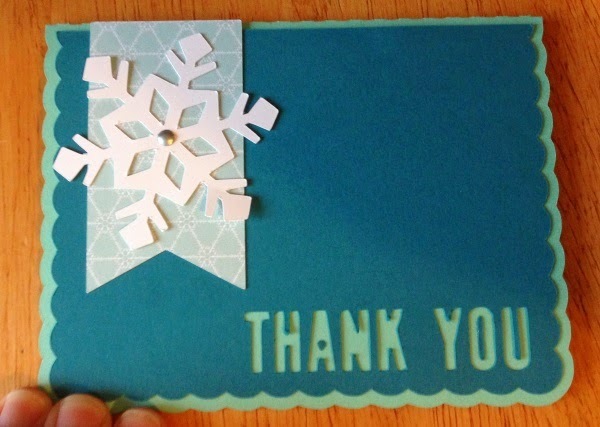 Order for simple and quick Winter thank you's for a Frozen party. Used a silhouette cut file and whipped this up. Love my silhouette for quick card needs.